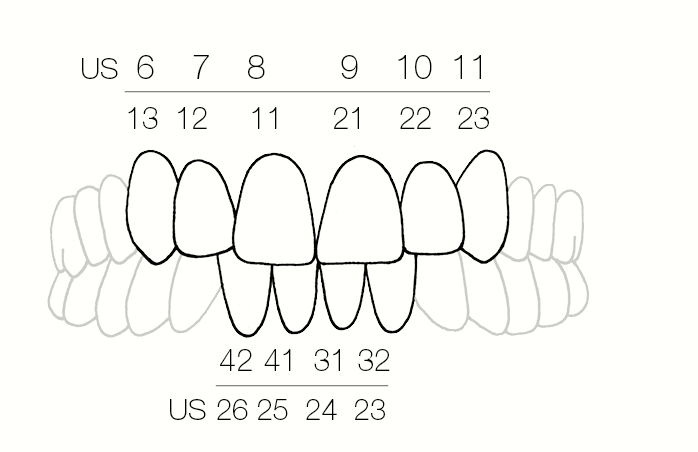 Anterior transparent pre-formed matrices for resin-based composite restorations. Supplied in a ready cut series of mesial and distal corners for anteriors and canines. Ideal for forming composite restorations as fractured incisive edges. CoForm, matrix system is a unique set of pre-formed transparent matrices, made of celluloid plastic that are specifically designed to deal with composite Class IV restorations as well as various tooth fractures. The method and advantages of celluloid plastic matrices. The cavity is filled in layers in the usual manner. The only difference is that when the last layer is placed, instead of shaping and curing, the matrix is pressed onto the uncured composite giving the restoration the anatomy of a healthy tooth. The composite is then cured through the clear matrix. How should I use CoForm? Start with compareing the size of CoForm to the fractured tooth and choose the right matrix. Apply composite material in the CoForm and press into place with a slight moving motion to avoid bubbles. Prewedge and insert CoForm in place. If needed cut the plastic matrix to make adjustments. 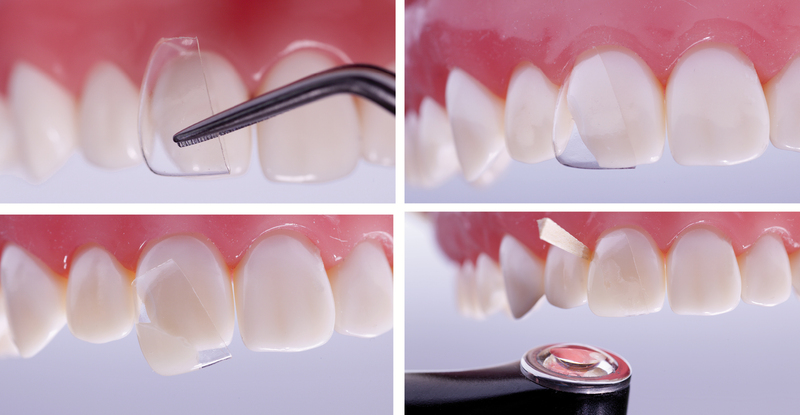 Prepare the enamel, bevel 0,5-1 mm for a maximal enamel bonding surface. Etch and bond as usual. Light cure through the CoForm matrix. Peel off after curing, correct excess material, shape and polish to complete restoration. CoForm is available in four sizes of ready-cut mesial and distal corners for fast and precise class IV fillings.